Flower Show season is upon us! Printing posters, signs, picking up props for the exhibit, and of course, watching grass grow... are all last minute details in preparation for the upcoming Boston Flower & Garden Show opening on March 14. We are excited to bring the Floral Design Open Classes to the main floor of the show with Am Hort, and incorporate Floral Design into our exhibit. This year's photography competition is expected to be fabulous and includes a children's division. The public vote is always a great component of the show, so make sure you get your ballot in! 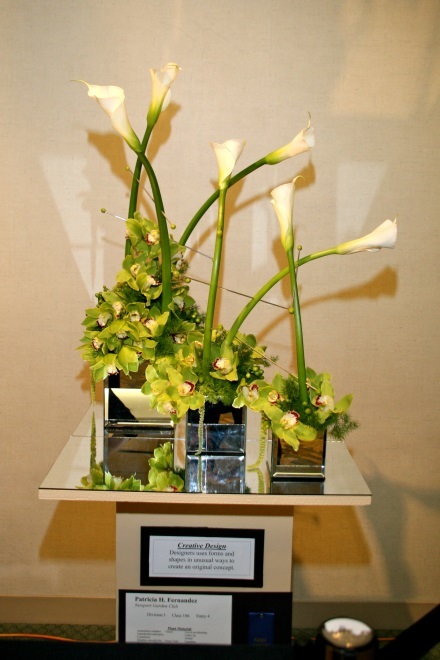 You will find GCFM Floral Design and Ikebana in the conference center again this year. Massachusetts Horticultural Society Gold Medal—to the Plant Society exhibit demonstrating the best use of design. We are pleased to have shipped off the Massachusetts Horticultural Society Gold Medal for the Philadelphia Flower Show , March 3 - 11. Last week we had some "spring teaser days" where I got out in the gardens and into our lovely Hartley Botanic Victorian Lodge, this greenhouse is filled with camellias . Stay safe as this s trong Nor'easter blows through. The wind is wild outside and at Elm Bank we lost several big white pines this afternoon. Can you help us out at the Flower Show next week? 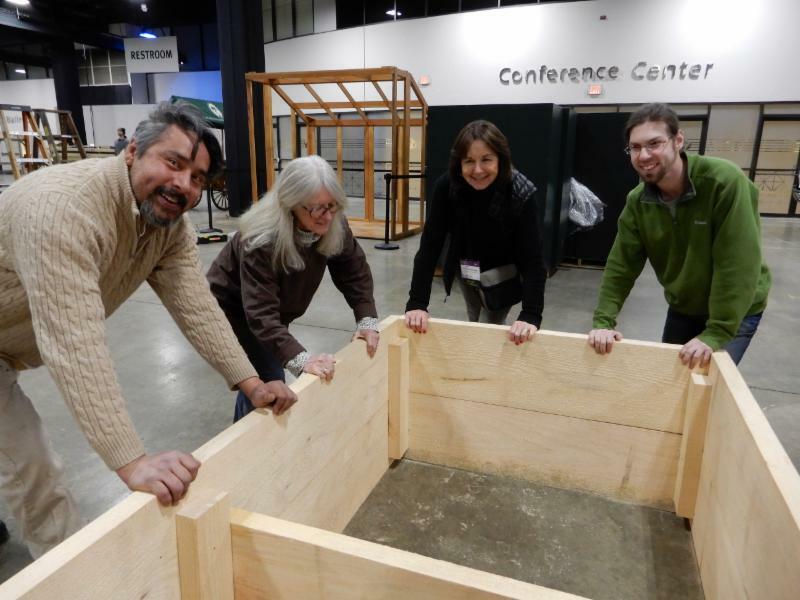 Volunteers are needed to help make our garden design exhibit a resounding success! This special event allows Mass Hort to educate the public about the environment, sustainability and stewardship of the natural world. It also helps us to connect to our many supporters. But we can't do it without the help of our volunteers. We need helpers to build, install and water our garden design exhibit, to be ambassadors for Mass Hort and membership, and to guard the plants, among other tasks. If you are passionate about plants, love to talk to people, or just want to learn what goes on behind the scenes of a flower show, please join us as a volunteer at the Show. Bring a friend or two, Sign Up Here! Mass Hort Talks at the Flower Show! Every year at Paragon's Boston Flower and Garden Show, Mass Hort has the opportunity to organize a special group of speakers. We are very excited about this year's lineup. You can find all of these presentations at the front of the expo, in the Lecture Hall. 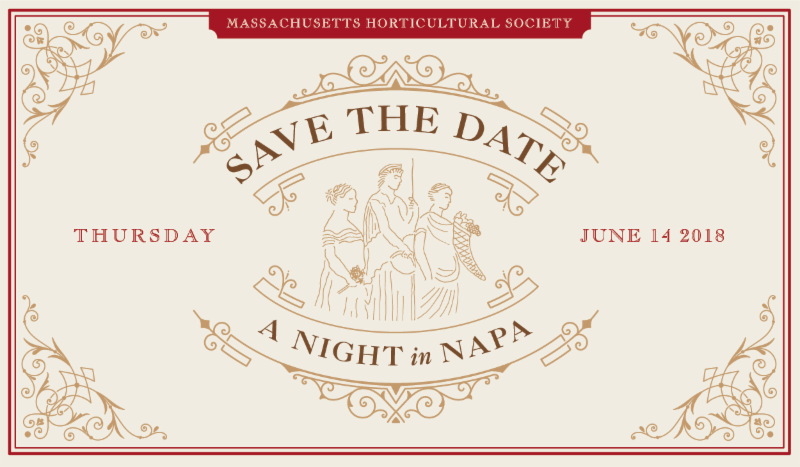 H annah Traggis, Mass Hort's senior horticulturist, will discuss how seeds are the fundamental unit of our food system and how they have the potential to represent our respective cultural histories. 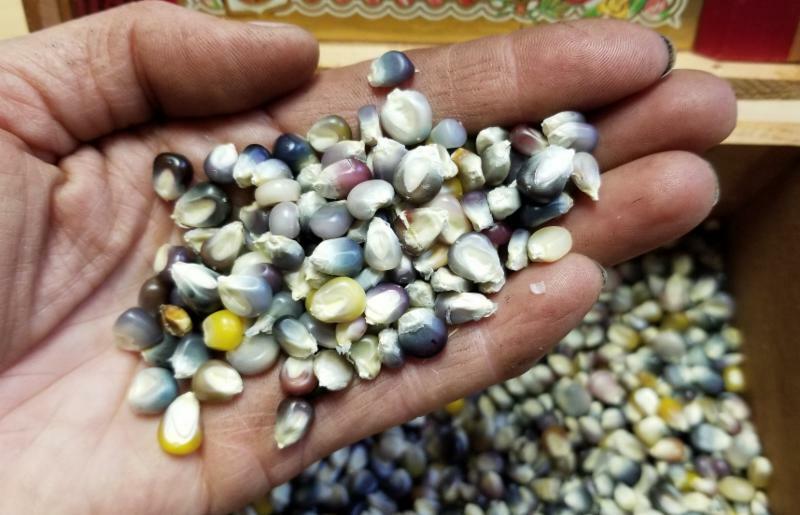 Saving seed provides valuable lessons in both strengthening and diversifying our food system and also creating stronger ties to our cultural identities and community heritage. Maria von Brincken, principal of Maria von Brincken Landscape Garden Design, is an award-winning certified designer celebrating over 15 years in professional practice. Maria specializes in beautiful earth-friendly landscapes and colorful flower gardens using native plants designed for you and your family. Her talk will cover some simple tips that you can incorporate into your own home landscape. What is the future of food production? Caleb Harper is the principal investigator and director of the Open Agriculture (OpenAG) initiative at the MIT Media Lab. He leads a diverse group of engineers, architects, and scientists in the exploration and development of future food systems. His presentation will review some of their projects and exciting successes. Tom Sullivan, M.A.L.D., owner of Pollinators Welcome will discuss the native bees of New England. Today, concern for the honeybee and awareness of Colony Collapse Disorder (CCD) is great. But what is happening to our native bees? Tom Sullivan will discuss what is happening to these native pollinators and what we can do to serve their needs. A new generation of gardeners is growing in Massachusetts! CitySprouts school garden program in Boston and Cambridge public schools is developing new horticultural experts. Two high school students in the CitySprouts program will give a presentation with Executive Director, Jane Hirschi, to review their program and the ways in which life and leadership skills are cultivated from the ground up. There are still openings in the Garden Club Federation of Massachusetts portion of the competitions run by Mass Hort at the Flower Show. There are still openings for club and individual entries on both entry days. Please find all available spaces here , or by emailing bfsdesign2018@gmail.com . The Open Class competition is open to all levels of designers, and this level, also, has space available. There are now openings in class 201 "The Garden Path,” on entry day March 13 and in class 203, “Show Off! A Garden Party Hat,” for entry day on March 16. For young competitors, class 205A, “A Gift Box,” has openings on entry day March 13. C lass descriptions and how to enter can be found in the schedule, here . Also, for early birds: the Floral Design Open Classes are asking for volunteers to assist designers to unload their cars and deliver materials to their workstations on Tuesday, March 13 and Friday, March 16. You would need to be at Seaport World Trade Center from 5:45 - 7:30 a.m. This is a behind-the scenes opportunity to experience and learn about design at flower show! Please email Nancy Costa for more information: ncosta71@hotmail.com. And, if you would like bring in your exceptional houseplants, individual entries for Amateur Horticulture Classes is Monday, March 12, 2 p.m. to 8 p.m. Learn more here . Mass Hort is organizing a number of classes to set you on a path of horticultural success this year! We hope you can join us. Our lecture series, Thursday Night at the Hort, is offered at The Gardens at Elm Bank on Thursdays, 7- 8:30 p.m. Each class covers a different topic, and you can register for individual classes. It's only $12 per member, so come on out-- and bring a friend! On Thursday March 22, Flower Farmer Evelyn Lee, will present Rev Up for Spring , which will focus on indoor and outdoor seed sowing, planting methods and timing for annuals, hardy annuals, tubers, bulbs and more. On March 29, Betty Sanders will present Vegetable Gardening: Planning, Preparing and Maintaining and share many tips to grow your own food. On April 5, Turf Specialist, Bob Dill will present Tips for a Great Jump Start on Your Lawn this Spring and cover soil testing, fertilization & nutrient requirements. On April 12, Robin Gingras of OESCO, Inc. will explain how building your personal gardening tool box really begins with understanding what plant species you’ll be working with and what you’re trying to accomplish. Look for more programs in your Spring and Summer Course Catalog members should receive their copy in mid-March! morning (9 a.m. - noon) or afternoon (12:30 - 3:30 p.m.) class. Warren Leach will be back to teach his very popular Landscape and Planting Design Course . The spring session will run from April 5 through April 26, Thursdays from 7 - 9. The class will focus on fundamental principles of design used in creating landscapes and garden spaces and composing planting designs using a complement of woody and herbaceous plants. Many of our programs fill up, so please register early! One such program is the Spring Landscape Tour , offered in partnership with Historic New England. 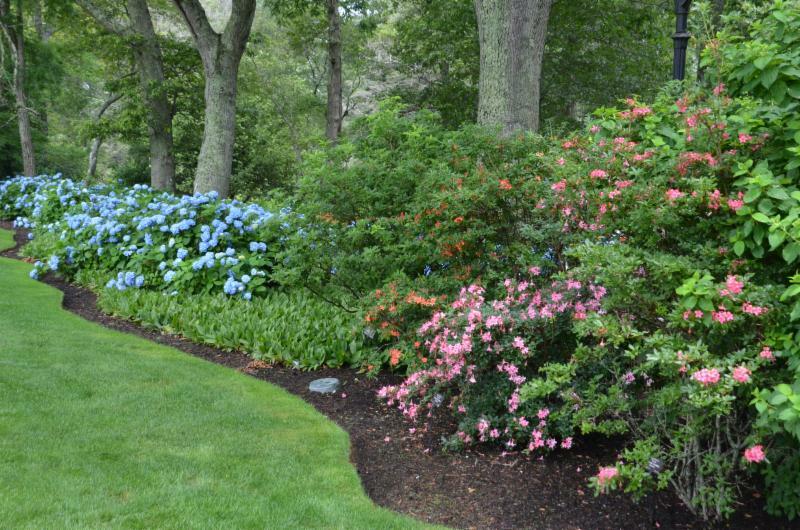 Spend Wednesday, May 30 touring estates of the area starting with the Lyman grounds and greenhouses in Waltham. Then tour and lunch at the Eustis Estate in Milton. The day will wrap up with a tour of The Gardens at Elm Bank. Mass Hort members must call Historic New England and request the member rate of $40, 617-994-5959. Space is limited, so register soon. Have questions or programs suggestions? Contact education@masshort.org. ...and receive new benefits to help find those special gardens to visit this summer! 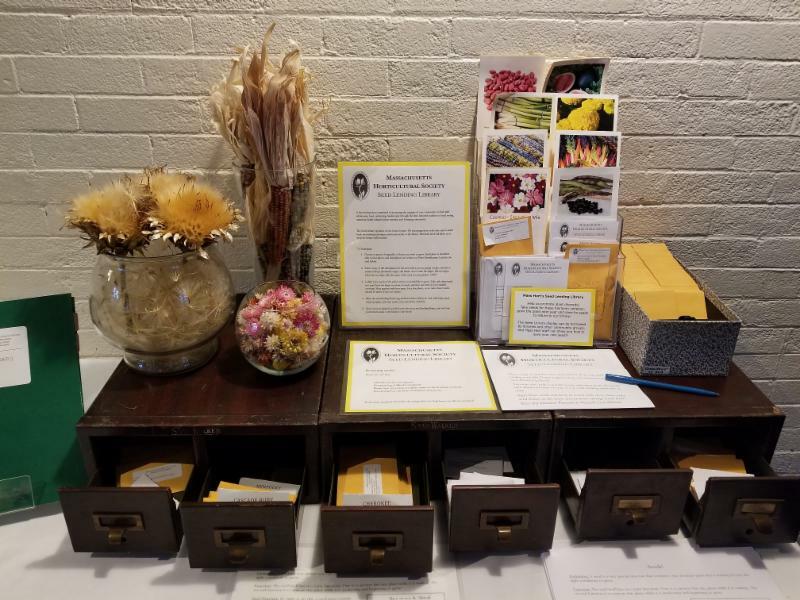 Join at the Supporter or Cultivator Levels and receive The Garden Tourist by Jana Milbocker as well as admission benefits through the AHS Directory of Reciprocal Gardens- 300 Gardens across the US will honor your Mass Hort membership as their own! Learn more! In the Hands of Our Seeds! Seeds, amazing structures housing tiny dormant plant embryos for months and sometimes years, are full of potential. Like an unborn child, seeds naturally give us hope for the future while holding within themselves poignant stories of our past. Seed is the fundamental unit of our food system and arguably the most important resource in horticultural and agricultural industries. Today, seed genetic resources are consolidated; centralized and controlled by just a handful of international companies. And yet seed, with infinite potential and ancient stories held within, still represents our respective and diverse cultural heritages. Planting seeds is a powerful and innately satisfying act. Whether we are holding the seed of our grandmother’s hollyhock, uncle George’s favorite pepper, or the newest released slicing tomato from Johnny’s Selected Seeds, we thrill at the act of nestling it into moist potting mix and joyfully anticipate watching for signs of its tiny new leaves and hypocotyl sprouting from the pot. As we nurture that seed to grow and mature, we have the opportunity to observe and participate in its entire life cycle, learning its many stories. We also have the opportunity to honor its heritage and save its seed to continue that cycle for many generations to come. Saving seed is a popular topic and awareness surrounding seed saving has been growing for the past several decades. There are many reasons to save seed and preservation is the most common word associated with the act. But preservation has many interesting contexts. We may be preserving our individual family history and ethnic cultural identities. Or, through the seed saving of our native plants, preserving the ecology of our regional landscapes, giving us the opportunity to understand our role therein, and the opportunity to make a commitment to better steward the natural environment around us. Today at Mass Hort, we are proud of our educational efforts surrounding the preservation and saving of healthy seeds. Over the past three years, we have been developing programming to educate school children, gardeners, and also work extensively with our regional farmers as they endeavor to broaden the scope of their fruit and vegetable offerings for the diverse communities across Massachusetts. Along with those efforts, we have been thrilled to build our very own seed library whereby we have been making available seeds cultivated from The Gardens at Elm Bank. The goal for this library is to serve as a regional seed bank and act as a living resource for school gardens and community groups. It contains seeds from many vegetables, ornamental, and native plants. OUr library is mobile and available to loan out to local library and community seed efforts. You can contact education@masshort.org to learn more. On Thursday, June 14 we will host our 3rd Annual Garden Party Benefit at The Gardens at Elm Bank. You’ll enjoy delicious hors d’oeuvres and wines of the Napa Valley while live entertainment and festive décor transport you to an elegant Night in Napa! Go here for more information or to purchase tickets . Wilson’s experience illustrates the importance of thorough research and not relying on a single source for an important fact. That is even more important today with the millions of entries on the internet, some true, some debatable and some clearly fallacious. Some of you may remember when door to door sales men would visit your house to sell encyclopedias, or your parents collected them each week at the supermarket. A good encyclopedia was a homework tool —a great place to look something up or get an introduction to a topic. Encyclopedias go back over 2000 years and can be described as a compendium of facts, often arranged alphabetically. The word “encyclopedia” comes from the Greek meaning general education. While today, hard copy general encyclopedias are obsolete; specialized encyclopedias, often in one volume, continue to be a valuable resource for novice and experienced gardeners and are a great addition to your antilibrary. They are not meant to be read cover to cover, but they offer the perfect tool to get an introduction to a topic, explore new ideas or get a quick answer. Although today hard copies of general encyclopedias are quickly outdated, not picking up and perusing a hard copy of a horticulture encyclopedia is a missed opportunity to explore, learn and be inspired. Here at the Library we have many reference books and 170 books with the word ‘encyclopedia’ in the title that cover gardening, plants, horticulture and design. The American Horticultural Society Encyclopedia of Gardening by Christopher Bricknell (NY:DK, rev. ed. 2003) is an example of what a specialized encyclopedia can offer. 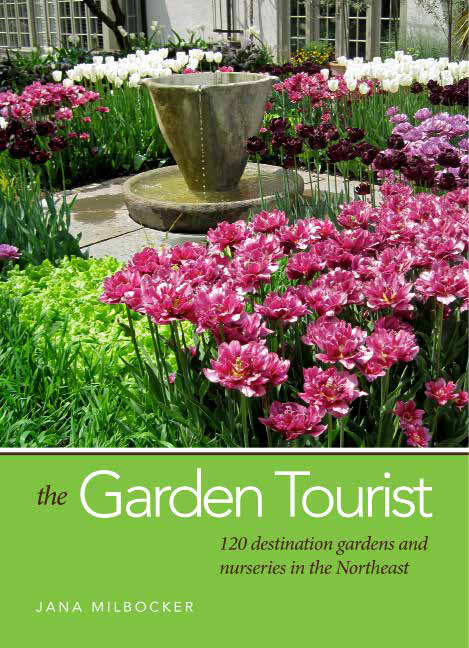 This is an ideal book to curl up with on a snow or sick day and explore the world of horticulture. Colorful and detailed illustrations accompany the book’s clear, yet engaging, text that often poses questions to help you develop your observational and critical thinking skills. Its wide ranging topics include garden making, design and features, plants, propagation, maintenance, tool selection, and useful how-to instructions on building a windscreen to create a microclimate or on building a willow fence, for example. The book includes a comprehensive glossary and index. I encourage you to pick up a horticultural encyclopedia. A photograph or caption may grab your attention and you might find yourself wondering where the afternoon went! In the Windows – Color! In this recent article , Washington Post columnist Adrian Higgins claims “color-driven garden design is, by and large, a dead duck.” That is clearly hyperbole. Knowledge of art and color theory is essential to a landscape designer since color is an essential element in their tool box along with form, line, shape, texture, scale, space and balance. Color affects the psyche, influences spatial quality, creates harmony, balance or contrast, or emphasizes a focal point. Color permeates our landscapes in foliage, flowers, bark, twigs, furnishings, fixtures and hardscape. Color provides the perfect opportunity to be creative and expose your playful side! Here at the Library, a catalog search on the title “color” or “colour” brings up 155 titles, a few of which we will display in the Library windows in March. Since its inception in 1829, the Library relied on the generosity of its members to build its Collections. We continue to rely on the generosity of our donors. We receive books from authors, individuals and from donors on the Society’s Amazon Wish List . You will note many of the books on the Wish List are children’s books that can be borrowed by our young visitors and our staff as they conduct educational programs in the gardens and in the Mass Hort Plantmobile. Want to add to your antilibrary or get inspired? The Library will hold a Book Sale of duplicate titles at the Gardeners' Fair on May 12, 2018, at The Gardens at Elm Bank. All the books and periodicals will be bargain priced. Plan to pick up a book or two along with your new plants. You can’t believe everything you see on TV even if it is on PBS. Fans of Masterpiece’s Victoria are likely aware of the storyline about Prince Albert’s older brother Ernest II, Duke of Saxe-Coburg and Gotha’s infatuation with the Duchess of Sutherland . Last month, our featured book, The Gardens of England from Paintings and Drawings on the Spot , was dedicated to the Duchess of Sutherland. Being an avid fan of Masterpiece and being aware of the book’s dedication in 1858, I decided to glimpse behind the scenes to learn more about Harriet Duchess of Sutherland. It turns out that storyline on PBS is Fake News ! Here’s the real story. At the age of 17, The Honorable Harriet Howard (1806-68) married her cousin, George Sutherland-Leveson-Gower, Earl Gower (1786–1861) who became the Duke of Sutherland in 1833. The Duke was 20 years older than the Duchess, but the marriage was happy, begetting eleven children. Besides the TV program dates being all wrong, there is no evidence that the Duchess ever met Ernest II. There is nothing wrong with embellishing the facts for a good story; just be aware you often need to add a grain of salt to what you see. If you want to know what really happened, get the facts, do your research and look in more than one source. Image from the exhibition “Misrepresented” at Cliveden, the Duchess of Sutherland’s estate outside London running from February 13, 2018 through July 13, 2018. On July 23, 2017, The Organic Consumers Association announced that it found traces of the herbicide glyphosate in 10 of 11 samples of Ben & Jerry’s ice creams — although at levels far below the ceiling set by the Environmental Protection Agency. “We’re working to transition away from GMO’s (genetically modified organisms) as far away as we can get,” said Rob Michalak, Global Director of Social Mission at Ben & Jerry’s. “But then these tests come along, and we need to better understand where the glyphosate they’re finding is coming from. Maybe it’s from something that’s not even in our supply chain, and so we’re missing it.” (N Y Times, July 25, 2017). The relationship between the herbicide glyphosate and GMO seeds is at the center of an expanding, global concern about the ubiquitous presence of glyphosate in our food system and in our bodies. Glyphosate was first synthesized by a Swiss scientist in 1949. In 1967, a chemist at Monsanto Company synthesized a derivative which, when sprayed on plants, disrupts an enzyme key to plant growth. At the time, the plant enzyme was not known to be present in birds or mammals, so glyphosate was patented as a safe general herbicide, marketed as RoundUp beginning in 1974. In 1994 Monsanto introduced Roundup Ready seeds, genetically modified to be resistant to glyphosate, making it easy for farmers to kill everything around a crop except the crop itself. RoundUp Ready seeds are now embedded in the global food system. Well over 100,000 million acres in the US alone iare planted with Roundup Ready seeds. In Gillam’s book, we learn how glyphosate is combined with other ingredients in various RoundUp cocktails to improve its staying power. In the ecosystem, RoundUp travels well beyond the plants it is supposed to kill. Ben & Jerry’s ice cream, manufactured in Vermont, surrounded by farms using GMO’s that are sprayed with RoundUp, means glyphosate could very well not be in their supply chain, but in the air, the soil and water. Consider the role of bees in glyphosate distribution. Tests of Sue Bee Honey, manufactured in Iowa and marketed as “pure, all natural “and “America’s honey” revealed glyphosate residues at 650 parts per billion, well over the 50 ppb allowed by the European Union. Beekeepers have no use for RoundUp, but their farmer neighbors do. 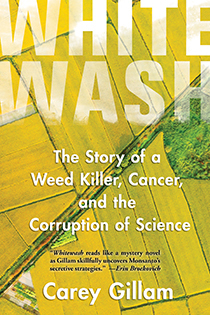 Whitewash is the story of how Monsanto, with the support of the EPA, repressed testing and challenged scientific studies of the health impacts of glyphosate, engineering what amounts to a fascist takeover of agriculture worldwide. The potential harmfulness of glyphosate in the environment has only recently been questioned. Links to non-Hodgkins lymphoma, other types of cancers, endocrine disruption, kidney disease and fatty liver disease are being tested, but nothing has yet been empirically proven to be associated with glyphosate levels. The environmental and human consequences seem worrisome but are uncertain. On its own, glyphosate can nevertheless be an effective weed deterrent. It is approved by conservation commissions across many states because, applied by hand to individual plants, without the benefits of additives or surfactants, it does not travel beyond the doomed plant. The scale of its use is what is cause for concern. Pamela Hartford is a landscape historian and preservation consultant in Salem, MA. Planning a garden around your home can seem like a daunting, overwhelming undertaking — so many choices, so much investment, so little understanding about what plants to use, seemingly huge risks should you make the wrong decisions. The process involves far more details than we can address in a few paragraphs here, but a few fundamentals will help simplify the decision-making, whether you do it yourself or seek professional help. You’ll need to determine the type of garden you want. Discuss with your family how you expect to be using the spaces. Are you seeking an appealing public-face from the road, a welcoming entrance, screening, a backyard retreat, a minimal-maintenance space to relax, or something else? Choosing a well-defined objective helps narrow the focus and simplifies your choices. Observing while walking around your neighborhood, visiting friends’ yards, touring public gardens, reading garden design publications, and participating in gardening discussions are all good ways to help develop concepts. Join a local gardening group or bring your ideas to design professionals at your local garden center. Make sure the elements that comprise your chosen area are appropriate for your intended purpose. Be aware of soil characteristics, moisture, sunlight, wind exposure, accessibility, and proximity to features you want to enhance or conceal. How do you intend to use the space each season? From what vantage points will the area be viewed or approached? Considering these conditions and others helps define the type, sizes, colors, textures, and other characteristics of the elements and plants you should choose for your design. Investing the time to learn about the types of plants that suit your plans will yield considerable rewards. Many homeowners visiting garden centers tend to choose what’s showing color at the time, and that’s generally a mistake. Combining plants with different seasons of interest adds significantly to the value of your yard. The best garden designs are appealing for more than a single point of time during the year and include considerations like maintenance requirements, fragrance, form, and texture. Gardening publications, online resources, and horticultural advisers at your local garden center can suggest options. Set a budget for your project. Installing mature-size (expensive) trees or shrubs may not be your most prudent choice. Underestimating how fast plants grow and how large they will become is a common mistake, so design your plantings to accommodate change as their component trees, shrubs, and herbaceous perennials grow towards maturity. Make sure you start by installing the critical basic elements for the garden, adding less essential components as you are able. Some gardens successfully utilize temporary plantings like non-woody “filler” plants, colorful annual flowers, and tropicals in gaps between smaller, less costly “starter-size” shrubs and trees. Filler-type non-woody plants that can survive more than one season include rhubarb, strawberry, lavender, thyme, sage, oregano, rosemary, and chives. Annual herbs like dill, nasturtium, basil, and parsley can also be good choices. For vegetables, try chard, carrots, lettuces, beets, corn, kale, peppers, tomatoes, fennel, and cabbage. Don’t fear making mistakes; every garden changes over time. Rare is a planting plan that never needs to be modified. Plants are living organisms, continually affected by elements beyond our control. Droughts, floods, sudden temperature changes, pests, insects, heavy winds, snow loads, and so many other factors are involved in influencing how well your gardens perform. Planning yours should be a pleasant, rewarding process, particularly when you’ve done your homework and know to ask the right questions. R. Wayne Mezitt is a third generation nurseryman and a Massachusetts Certified Horticulturist , now chairman of Weston Nurseries of Hopkinton and Chelmsford, MA , and owner of “ Hort-Sense ”, a horticultural advisory business. Wayne currently serves as Trustee chairman for the Massachusetts Horticultural Society at The Gardens at Elm Bank in Wellesley MA. This month, for the ninth year in a row, I will go into a cave and come out wearing my Garden Ogre suit. For the next seven months, I will prowl the Medfield Community Garden with one task: to tell 75 gardeners to weed their plots, tighten their fences, and be nice to one another. I know with complete certainty that, by the end of October, half a dozen gardeners will hate me. The rest will find me merely annoying. Nine-and-a-half years ago, Betty and I cornered one of our town’s selectmen and complained that our town’s small Community Garden was a wreck. Plots grew up in weeds and no one cared. Two families took a quarter of the garden for themselves. Water spigots leaked or didn’t work. We demanded action. Betty and I took our newfound responsibility seriously. A four-page list of Draconian ‘Rules’ became a single page of ‘guidelines’. Articles appeared in the local papers seeking gardeners and new recruits showed up in droves. Six thousand square feet of gardens were added, and then another 3,000 square feet, bringing the garden to a full acre in size. New gardeners were encouraged to start with a 300-square-foot ‘half-plot’ space, and an early-Spring class on vegetable gardening became a staple at the town library. It all sounds idyllic, except that even ‘guidelines’ need to be enforced. The secret to having 75 people gardening together is to ensure that everyone plays nice. That’s where the Ogre comes in. My number one responsibility is to ensure everyone keeps the paths around their garden weed-free. It’s a simple request: every week, spend five minutes pulling any grass or weeds that are in the three-foot-wide aisles and, especially, along your fence line. If you have a front-row garden, there are fifteen gardeners behind you who depend on being able to walk by your plot unmolested. Yet, every year, gardeners decide it’s not their job. 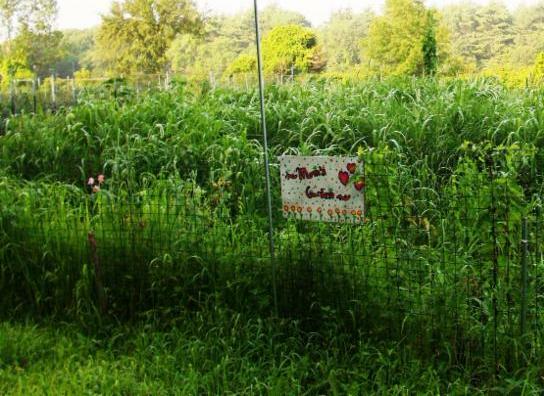 It begins with weeds growing in their fence and, left unchecked, escalates until there’s a carpet of crabgrass that will spew billions of seeds into every plot. I start with kind notes: “Hey, the next time you’re at the garden, could you take a few minutes and weed the aisles?” Some people comply, others don’t. The next note is just a little testy: “Hey, I’m getting complaints about the weeds in your aisles. Please take care of them.” This send-and-ignore pas-de-deux continues until I send out one that says, “Weed your fence line and aisles or else I’ll do it. And if I do it, you lose your garden.” That’s the note the recipient posts to social media to show how a simple community endeavor has become a dystopian nightmare. As the season progresses, the problems escalate to include ten-foot-high sunflowers and eight-foot-high stalks of corn. With just three feet between gardens, common sense says not to grow stuff that casts a shadow over your neighbors’ plot. Yet, some gardeners insist it their Flora-the-Goddess-of-Gardening-given-right to not only grow this stuff at the back of their plot (where it shades the front of the adjacent garden), but to use it as a border around their garden, thereby shading everyone in sight. Out go the memos, with predictable results. Come August, two things happen. First, everyone goes away for two weeks. And, second, everyone’s squash vines run amok. The vines push out fences, turning three-foot passageways into Amazonian-caliber jungle pathways where machetes are required for navigation. I plead via email for cooperation and receive replies from Patagonia where, I’m informed, the skiing is wonderful but they’ll take care of the vines just as soon as their holiday is over and they’ve ‘decompressed’. Some express amazement that ‘Madison’, who had faithfully pledged to tend their garden in their absence, hasn’t stopped by. Then comes the end of the season. 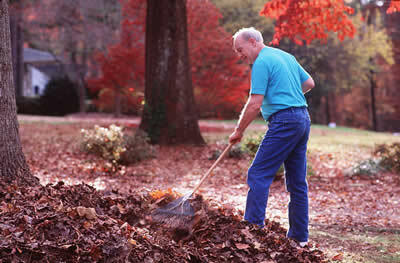 Most gardeners clear their plots during September, even though they have until the end of October. The days are shorter and few things are ripening. A few gardeners, though, just stop gardening; leaving everything in place with predictable results. Three gardeners did this in the autumn of 2017. Oh, they finally took down their fence and cleared the plot, but not before the weeds were two feet high. They were livid when I told them their plots were being given away. Now, it’s March, and the process starts all over again. Lucky me. Neal Sanders’ latest mystery, Fatal Equity , has just been published. You can find it at Amazon and in bookstores. Stay off your lawns and beds , and out of the vegetable garden, until the soil passes the ‘ball test’. What’s that? Take some soil in your hand and squeeze it into a ball. If it falls apart when poked, it’s ready to be worked. If it doesn’t, it’s still too wet and any work in the garden will compact the soil and make your life much harder as the season goes on. When the soil has passed the ball test, get a sample (instructions here ) and send it off now so you know what your garden needs to do its best. You need a separate test for each area of your lawn and garden—front yard, back yard, vegetables, flowers, and so forth. 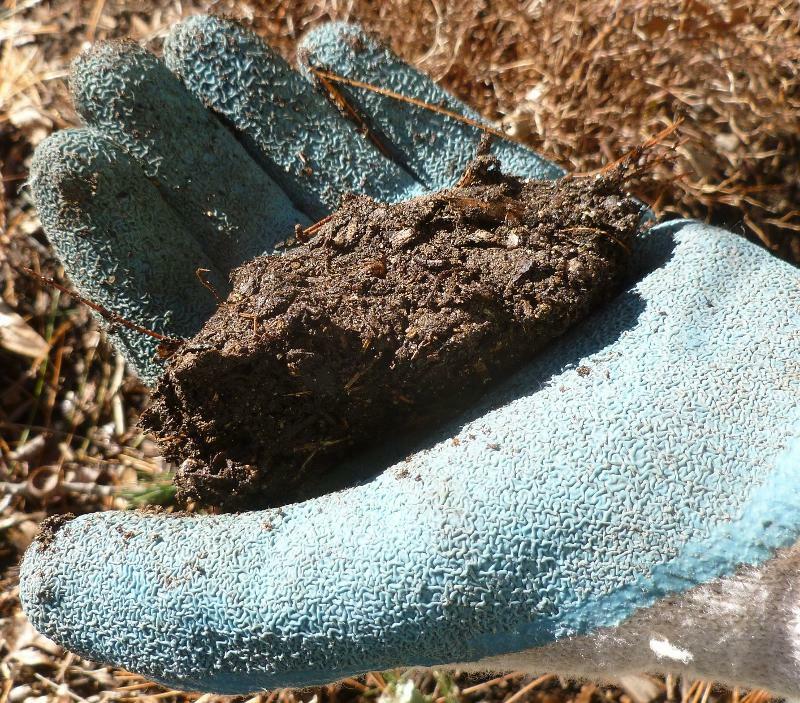 The UMass Soil test is accurate, inexpensive and the best deal in Massachusetts. But get your sample in before the spring rush. Use cold, wet days to prepare for gardening. Are all your tools cleaned and sharpened? 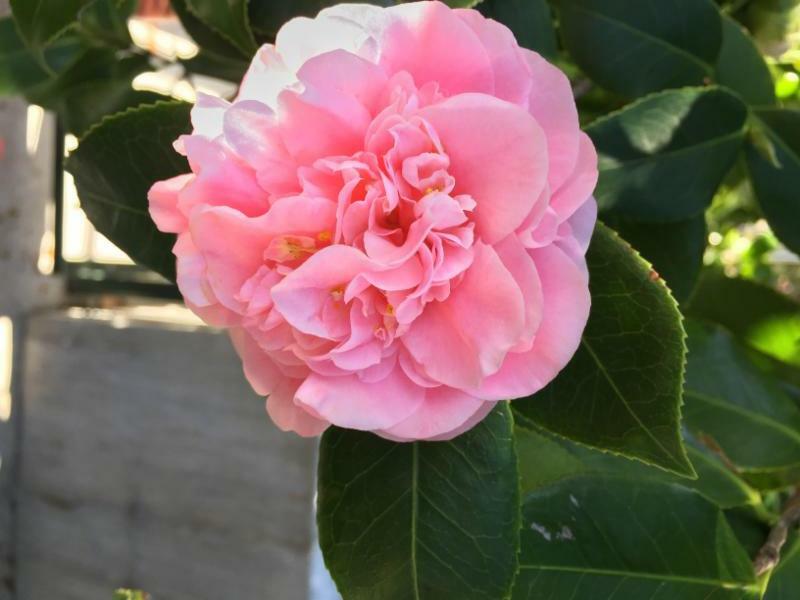 Have you made a list of the plants you want to add to the garden this year? Do you have a gardening supplies list so when you hit the nursery or farm supply store you won’t need to make multiple trips? If you build your own tomato cages or cucumber trellis or peony supports, get going a cold or snowy day. Want to try raised bed gardening? Buy and cut the lumber now to shorten your workday later. You’ll be busy enough outside when the warm weather arrives. If you grow vegetables from seed that need a head start (broccoli, peppers, eggplant, tomatoes and such), check websites such as USDA and Old Farmer’s Almanac for details on what should be started now and in the next month. If you need to thin your new seedlings, snip off extras with manicure scissors. Pulling may disturb their neighbors. Many gardeners, lacking the time or space to grow their own, buy seedlings from local markets, especially now that organically grown vegetables sets are widely available. When your spring bulbs appear , sprinkle a small amount of organic fertilizer and lime around , not on, the new greens. This will wash into the soil with spring rains and help the bulb get ready for next year’s flowers. This year’s flower is already in the bulb, waiting for the right weather to appear. An application of organic mulch around the foliage will keep weeds down around the bulbs and add organic to the soil later. If you planted your bulbs among perennials, (good for hiding the bulb foliage as it dies) do not mulch until the perennials are up. At the end of the month , if the garden soil has dried out enough to pass the ball test, you can start planting cool season vegetables such as onions, lettuce and spinach. They can take cold nights and will provide you with an early garden harvest. A single or double layer of row cover will provide a few extra degrees of protection from light frosts. Plant dormant (bare root) roses now and you will have blooms later this year. But don’t assume everything that shows up in a plant nursery can withstand planting out now. Be wary of ‘spring’ plants that show up for sale this month. We are in New England where everyone has a story about the April, May and even early June snowstorms! Saturday, April 7, 8:30 a.m. - 2:30 p.m. 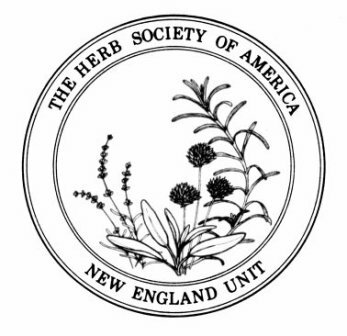 The New England Unit of The Herb Society of America (NEUHSA) has announced a day long educational event scheduled for Saturday, April 7. The symposium’s theme is “Celebrating Herbs” offering many ways herbs are used both traditionally and modern. The symposium’s agenda includes presentations by three well-known people in the horticultural field. Kelly Orzel’s, topic will be, ”Gardening for the Senses.” Kelly is from Bowery Beach Farm on Cape Elizabeth, Maine. She specializes in culinary and scented plants including 50 varieties of Scented Pelargoniums. “ The Backyard Gardener, ” is her recent book. 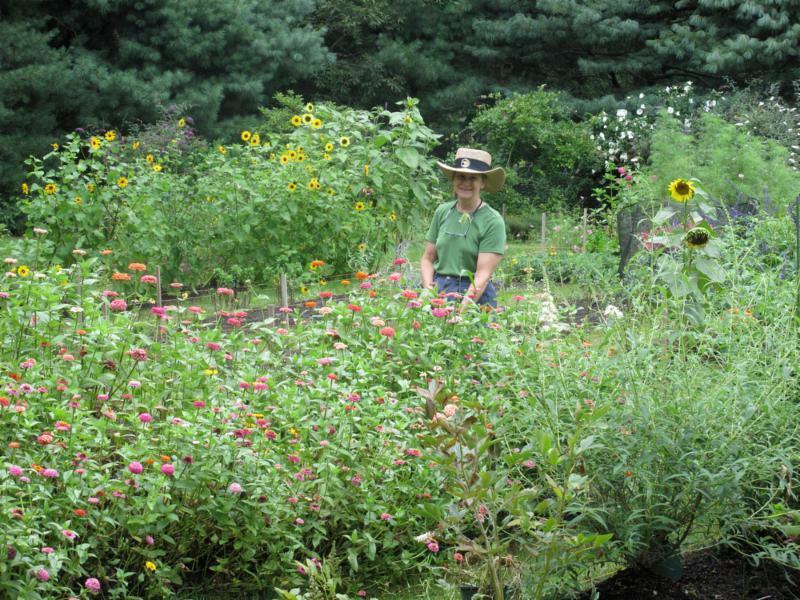 The Symposium, “Celebrating Herbs”, will be held at The Gardens at Elm Bank. For more information and registration go to our website at www.neuhsa.org . When your garden chores are complete, consider donating your used tools to Mass Hort. We'll be hosting a Tool Sale at the 2018 Gardeners' Fair in May!